It can’t be denied that Rockstar’s GTA has become something of a cultural phenomenon, and proof of this is that the latest game in the series GTA V has already sold more than 70 million copies to date, becoming one of the best-selling video games of all time. Part of GTA V’s success has to do with GTA Online, the game’s multiplayer online component which has turned out to be extremely popular ever since it launched with the main game back in 2013, reportedly having made more than $500 million to date. And Rockstar has been supporting GTA Online by adding extra features and releasing new DLC for it over the years, such as the Bikers DLC released last October. And in order to celebrate the Christmas season there’s a holiday event now running in GTA Online named Festive Surprise 2016, with Rockstar offering free goodies and discounts for in-game items until January 9. Aside from Christmas-themed hats, sweaters, masks and other festive clothing which are now freely available to players in the game, there’s also the possibility of unlocking a pyjama set and a “Bold Pinstripe Smoking Jacket” (see image above), which will be available through January 2. Of course, those willing to spend their GTA$ (the game’s currency) an are looking to stand out in the crowded streets of Los Santos can now get hold of cool bodysuits from the game’s clothing stores, which feature three illumination types (glow, flash or pulse), plus players can also celebrate the New Year in style by buying a Firework Launcher from one of the game’s Ammu-Nation stores. 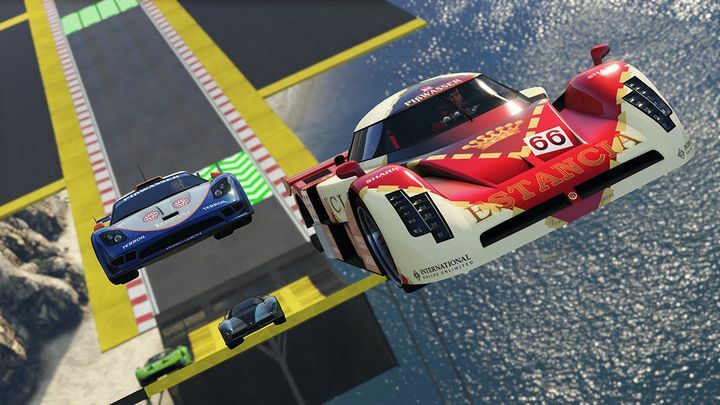 There’s also a “Snapmatic” contest in which the five winning photographers will be rewarded with a cash price of GTA$1,000,000, the rules of which are detailed on Rockstar’s website, plus players will also receive double GTA$ and RP (Reputation points which are used to level up the player character in the game) in the Turf Wars Adversary Mode starting on December 22. All in all, it looks like this GTA Online festive event will be one to remember, although it’s unlikely to convince GTA sceptics and those longing for more single player DLC to jump into GTA Online anytime soon. Plus it can be argued that like in real life, virtual property won’t buy happiness to anyone, although it’s clear is that GTA Online is still one of the most entertaining multiplayer video game experiences this side of World of Warcraft, and its fan count is likely to keep growing in the future.